Happy Memorial Day to everyone from The Daily Portsmouth. Today I wanted to recognize the troops who have served and continue to serve our wonderful country and fight for its freedom. I want to also recognize Murray Joseph Cohen, my grandfather, who served our country in World War II – who arrived on the shores of Normandy on D-Day…and lived to tell us the story. This is our family’s first Memorial Day remembering “Gramp”. To everyone who has lost someone in their service to our country, my thoughts are with you. 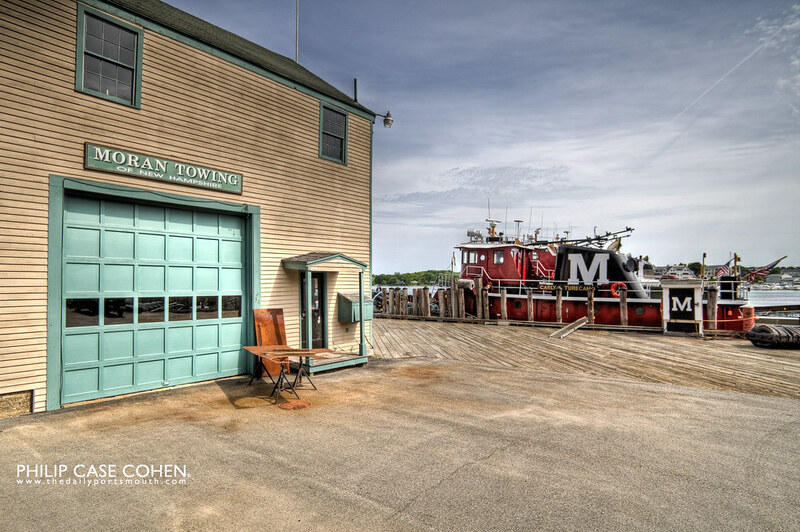 After strolling around Prescott Park and the South End when the Tall Ships arrived on Thursday, I headed over to one of my favorite spots on the Mary E. Prescott Pier. There are a ton of benches to sit down and enjoy throughout Prescott Park, with a bunch on this particular pier facing the Memorial Bridge, another side faces the Commercial Fish Pier, and a third side has benches facing the Portsmouth Naval Shipyard. It’s always worth a trip to town or a walk over to the park to sit and enjoy the scene – whether you need to decompress or just want to enjoy some sea air. 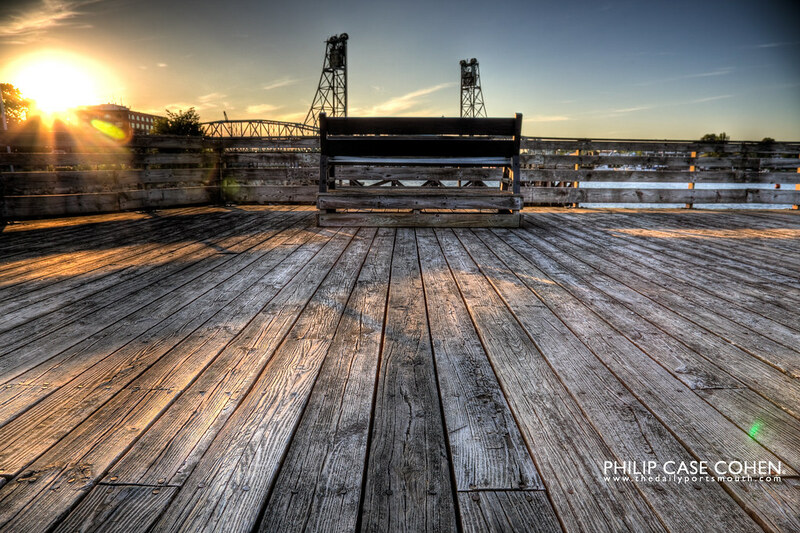 The sunset and the tones of the wood made this shot perfect for me – capturing the serenity of the Piscataqua River waterfront. 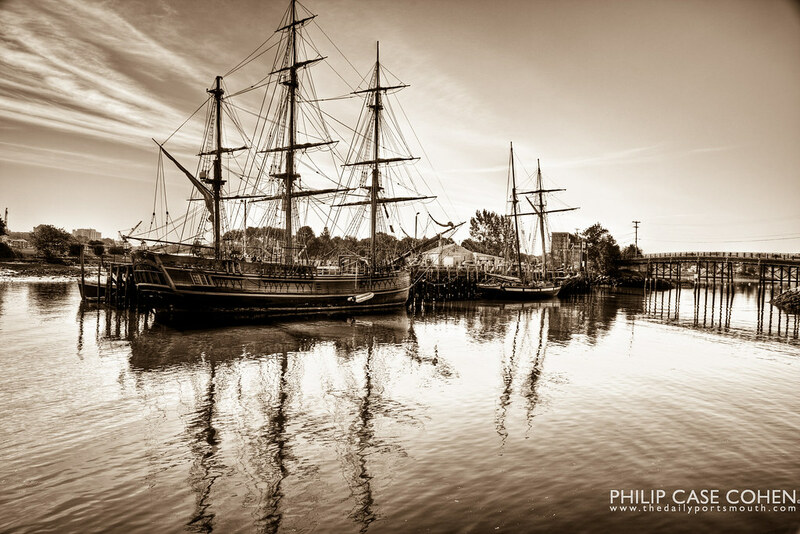 The Tall Ships HMS Bounty & Privateer Lynx are in Portsmouth for the weekend, docked at the Commercial Fish Pier. I love the old world look for the vessels in the shot above, I can imagine the scene looking exactly like this 200 years ago. Below is a shot of the Commercial Fish Pier before the arrival of the tall ships…interesting to see the juxtaposition of the old & new. “This year we will welcome the tall ship HMS Bounty. HMS Bounty was built in 1960 specifically for the movie “Mutiny On The Bounty” starring Marlon Brando. 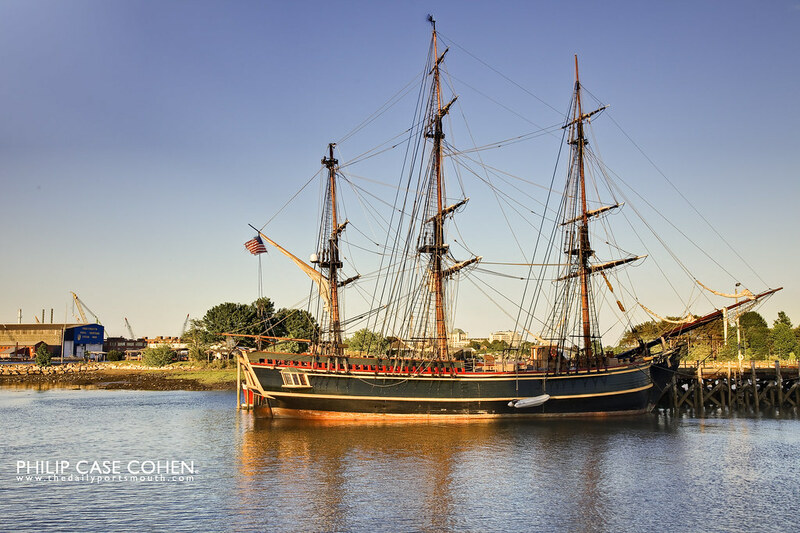 She is a historic replica of the original Bounty that took Captain Bligh and Lieutenant Christian halfway around the world to Tahiti, followed by Christian and some of the …crew staging the famous mutiny on the way back. Bounty is a 180 foot “fully rigged ship”, meaning a classic sailing vessel with three masts and all square sails. She carries up to 18 sails totaling 10,000 feet of canvas, and is armed with four 4-pound cannon. 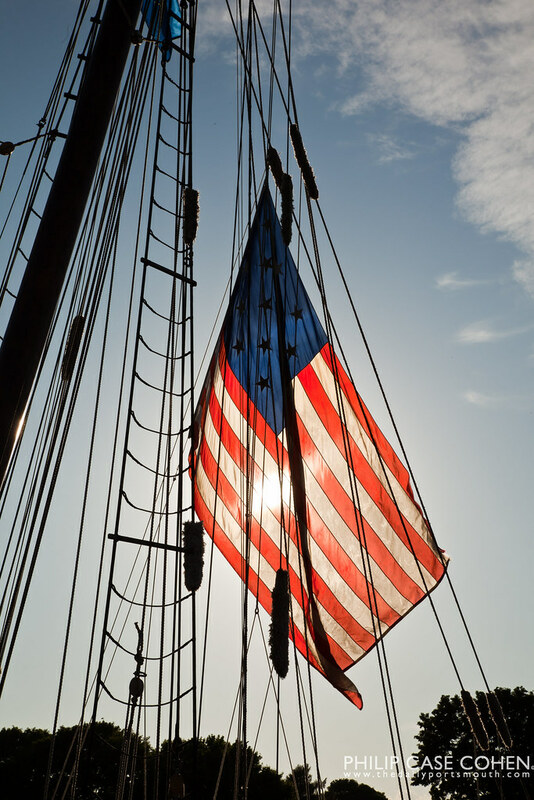 Get more information on the HMS Bounty at http://www.tallshipbounty.org. The tall ships Lynx and the Bounty arrived a day early to their destination at the Commercial Fish Pier in the South End of Portsmouth. On Thursday afternoon, the two tall ships that are visiting this year arrived ahead of schedule and sat docked at their new location at the commercial fish pier….they usually dock at the State Pier closer to the Middle Bridge (due to schedule conflicts this year, they are trying a new spot in the historic South End). THE BOAT PARADE WILL BE AT 1PM ON FRIDAY MAY 28th!! 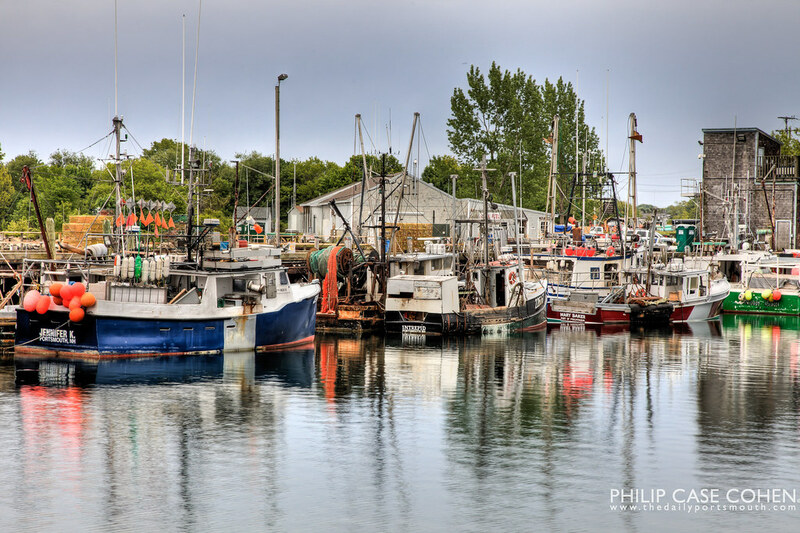 The ships looked beautiful docked at the pier – and made me realize how many commercial fishing vessels typically sit docked, and how large they actually are. The tall ships, while huge, seem to leave a reasonable amount of empty dock space…which usually looks pretty full while the fishing boats are docked. 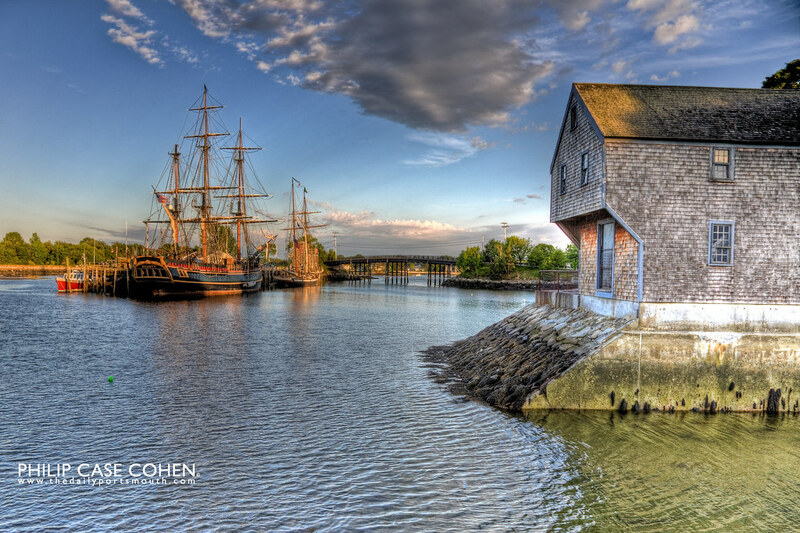 If you have a chance over the weekend, be sure to stroll through Prescott Park towards Peirce Island to check out the traditional sailing crafts. I’d love to get out on one for a sail! 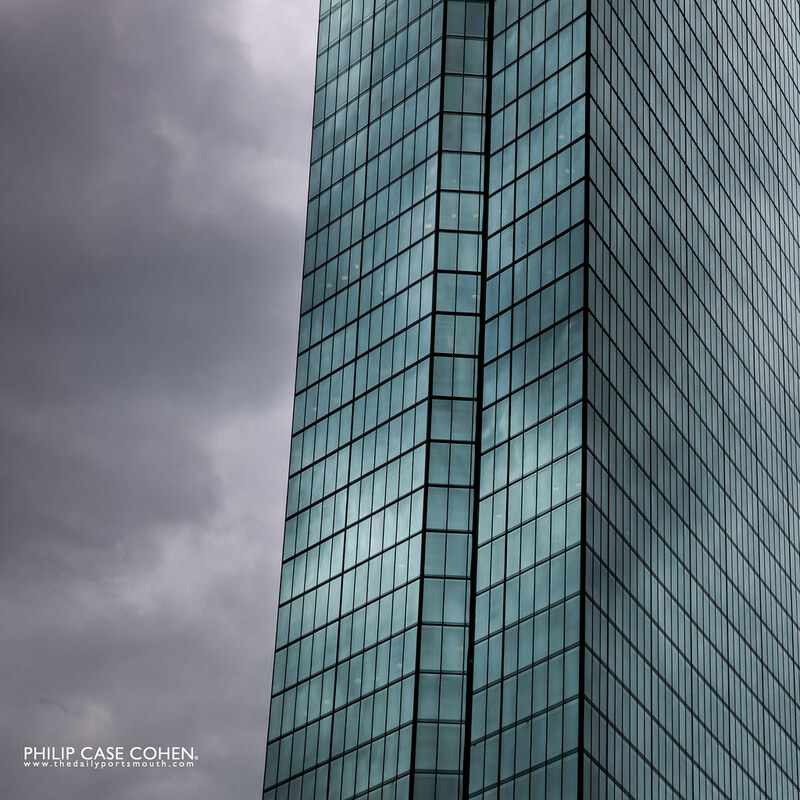 Today I’m featuring an iconic Boston landmark – The John Hancock Tower located in Boston’s Back Bay. There’s a special reason for Boston’s guest appearance…tonight (yesterday if you’re reading this) I was in the city for a work function at the Mandarin Oriental hotel, a finely appointed new hotel offering located next to the Prudential Center. I had a great time with some folks from work and met some great new people, and enjoyed some fresh sushi. Unfortunately, the night took a turn for the worse when it was time to pick the car up from the valet. As I handed my ticket, I heard a few words you never want to hear as someone who checked your car with a valet, that went something like this: “Sir, I would like to speak with you. Please follow me.” How ominous does that sound? Long story short, it wasn’t the worst thing in the world – no accident or anything, but my car wouldn’t start. The folks at the hotel and the valet company were very helpful and apologetic…After a ride to the airport and getting a rental car, I arrived home in Portsmouth close to midnight so editing a Portsmouth shot was out of the question…and even though I have some in the queue, it just seemed more appropriate to feature The Hancock today. Hope you like it. 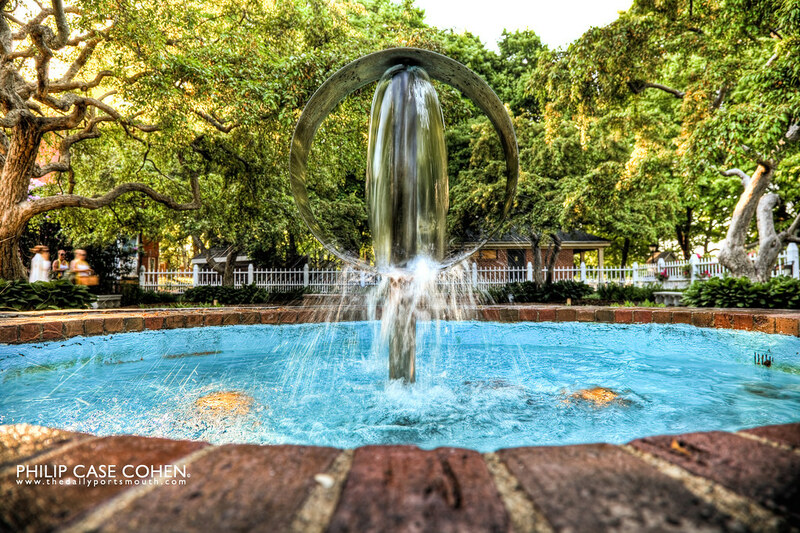 It’s officially spring when the City puts all of the fountains back out…whether it’s in Prescott Park, where the cool circular fountain above is located (and where the video below was shot), or whether it’s in yesterday’s post at Congress Street. I have a few older ones from the fisherman fountain taken last year, which you can see HERE. 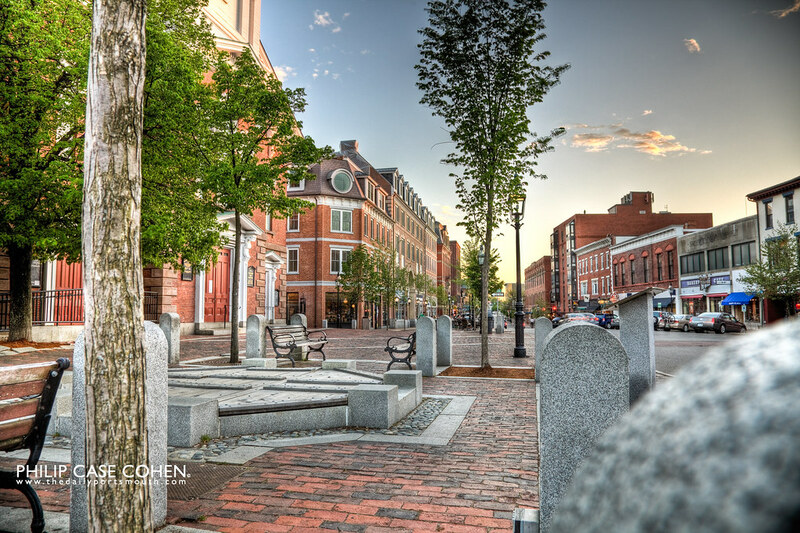 I did a Portsmouth by Day | Portsmouth by Night version of the fountain that I loved, which you can check out HERE. The Congress Street fountain is now up and running for the season….but the photo above was taken a few days before the wood cover was removed. With the warmer weather, I don’t think I’ll catch this part of town this quiet for a long time. With more people come more shenanigans too…I happened to be walking by this past weekend where someone must have had some fun and filled the fountain with something causing some entertaining foamy bubbles. The fountain was shut down – anyone catch the fountain making bubbles while it was still on?? I didn’t have my tripod with me when this shot was taken – so I had to improvise and use one of the granite posts to stabilize. I like how it gives the scene some extra depth and a bit of a different feel than my usual shot.